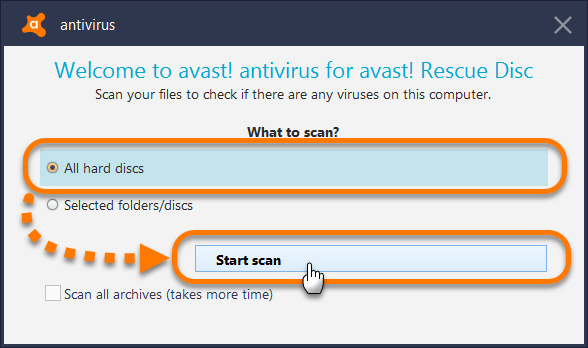 If you suspect your PC is infected with malware and all other Antivirus scans (including the Boot-time scan) were unable to resolve the issue, you can use Rescue Disk. 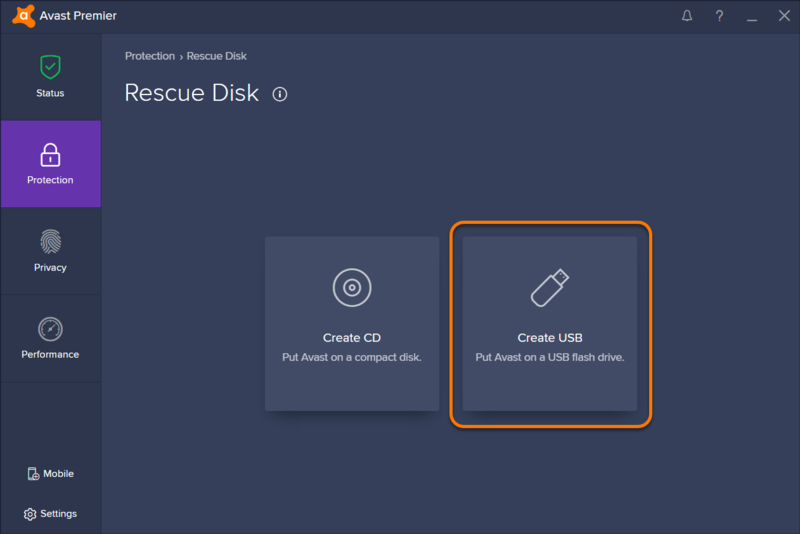 Rescue Disk enables you to scan your PC when your system is not running. This method significantly increases your chances of detecting and removing malware because the malware is unable to counteract. An empty USB drive with a capacity of 500 MB or higher (Preferred method). A blank recordable CD; CD/DVD-writer; burning software which can write in ISO file format (Alternative method). PCs manufactured around year 2000 may not be able to boot from a USB drive. In this case, use the Alternative method to create Rescue Disk on a CD. 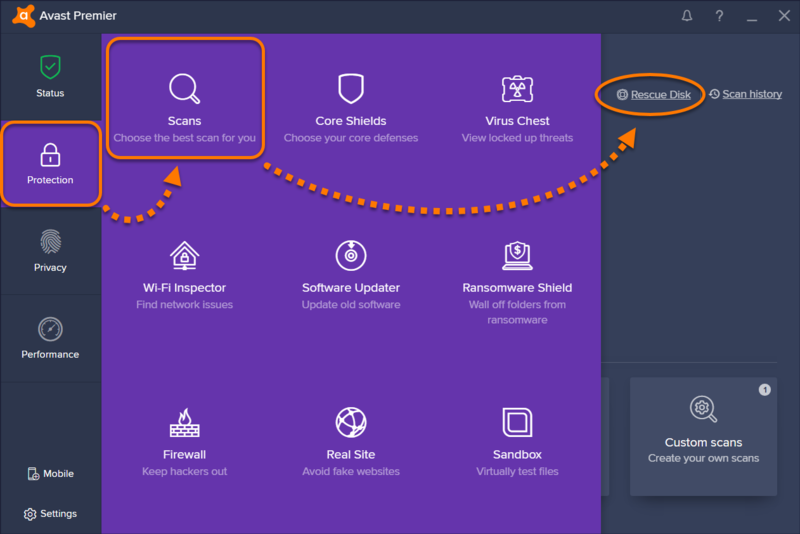 Open the Avast Antivirus user interface and select Protection ▸ Scans. Click Rescue Disk in the top-right corner. Insert an empty USB drive into your PC's USB port, then select Create USB on the main Rescue Disk screen. In the dialog that appears, select your USB drive. A progress screen appears as Rescue Disk is created. When Rescue Disk is finished loading onto your USB drive, click OK. Select Create CD from the main Rescue Disk menu. 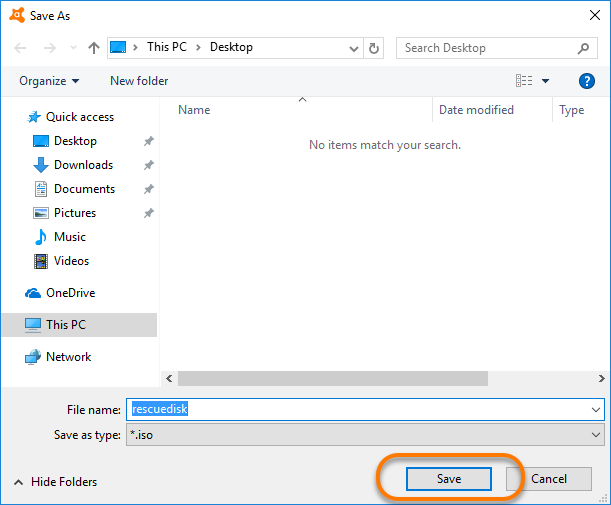 Select a location to save the Rescue Disk ISO file, then click Save. A progress screen appears as the Rescue Disk ISO file is created. 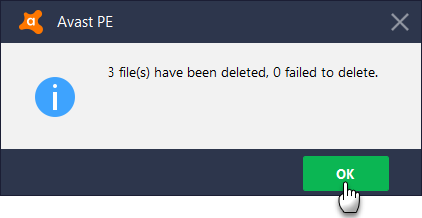 When Rescue Disk is finished creating the ISO file, click OK. 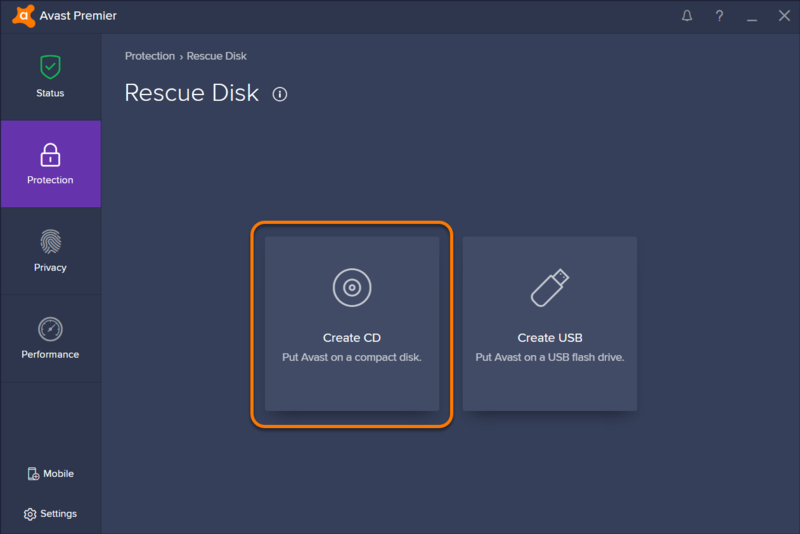 Burn the Rescue Disk file onto a blank, recordable CD using a CD/DVD-writer software. On Windows 10, Windows 8/8.1 or Windows 7 you can use the built-in Windows Disc Image Burner. On Windows Vista or Windows XP use any third-party burning program capable of writing CD images in ISO file format. After creating a Rescue Disk, you can boot up the PC that contains malware using the external USB (Preferred method) or CD (Alternative method) drive. Turn off your PC and insert the USB drive containing Rescue Disk into the USB port. Insert the CD containing Rescue Disk into the CD/DVD drive of your PC, then turn your PC off. Turn on the PC to be scanned. As your PC starts up, press the appropriate key to enter the Boot Menu. Look for text on the computer's BIOS boot splash screen (usually a computer manufacturer's logo and/or hardware initialization details, shown for a few seconds before Windows starts) that tells you how to access the Boot menu. Because of the wide variety of PC and BIOS manufacturers, there are numerous ways to access the Boot Menu. The keys that are commonly used are Esc, F12 or F11. Some PC models or manufacturers also use other keys such as F10, F9, F8 or F5. Once you determine the proper key to access the Boot Menu, restart the PC again and immediately start tapping that key. Following the instructions in the message that appears, press any key to start Rescue Disk. If you cannot access the Boot Menu, refer to your PC's documentation on the relevant manufacturer's website, or try to contact the manufacturer's support. 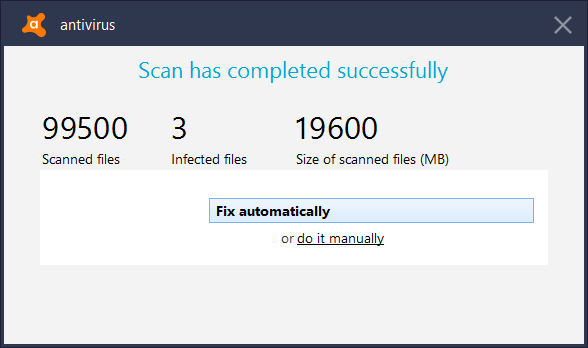 When Rescue Disk starts on your PC, you can begin to scan for malware. All hard discs: scans the entire PC. Selected folders/discs: scans only specific folders or discs on the PC. Click Change to select the folders or discs to scan, then click OK. Tick Scan all archives to scan compressed files (RAR, ZIP, etc). When the scan is finished, review the scan report and results screen for any found threats. 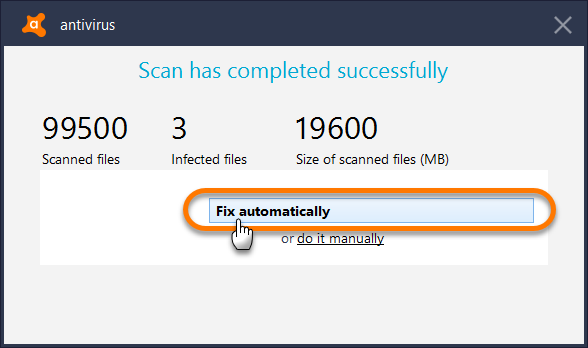 After scanning your PC, Rescue Disk notifies you of the results. If any threats are found, you can select Fix automatically (Preferred method) or Do it manually (Alternative method). Click Fix automatically on the results screen. Rescue Disk attempts to remove the malicious code from all infected files, while keeping the rest of each file intact. If it fails to repair any files, the files are automatically deleted from the infected PC. Click Quit and restart computer to exit Rescue Disk. Click Do it manually on the results screen. Fix automatically: removes only the malicious code from the selected files, while keeping the rest of each file intact. Threats that cannot be repaired are automatically deleted. 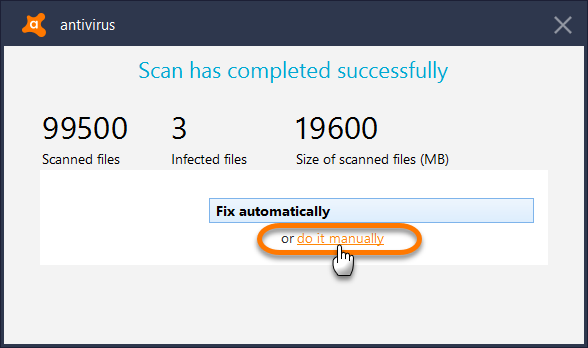 Repair selected: removes only the malicious code from the selected files, while keeping the rest of each file intact. Threats that cannot be repaired should be manually deleted. Delete selected: permanently deletes selected files from the PC. Click OK on the confirmation screen that appears. You can then select remaining files and apply another action. 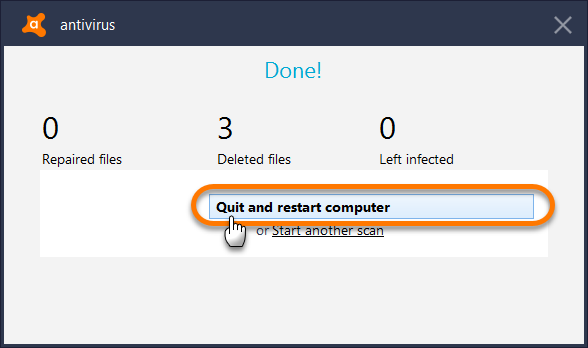 When you are finished selecting files, click Continue, ...and select Quit and restart computer to exit Avast Rescue Disk. When your PC restarts you can remove the external USB drive/CD containing Rescue Disk.